Okay, you and I are at the range testing loads. You have a new hunting rifle in a bolt action platform and I have my newly rebarreled IBS 1000 yard light gun. Our goals are the same, obtain the best possible accuracy. But because of the difference in platforms although our goals are the same our degrees of accuracy may be and probably should be different. As we set up the chronograph and get our “stuff” laid out. You are setup and I haven’t even gotten my rest out of its case yet. Since you aren’t concerned about the chronograph at this point your go ahead and start shooting as I finish setting up. You are shooting 3 shot groups and conclude your testing as I am getting the chronograph out. We get it set up and now it is my turn. Your target is at 100 yards and we take a peek at it and see a couple of sub-MOA groups. Looks pretty good. My target is set at 200 yards and I am shooting 5 shot groups and am in the final testing phase of my OCW and ladder tests. My goal is 1/2″ groups at 200 yards with single digit Extreme Spread (ES) numbers. But why are you so worried about ES when all the writers talk about is Standard Deviation (SD) you ask? Well … I’m glad you asked. Extreme Spread numbers give me immediate input as to where my bullet will land. The lower the Extreme Spread the less vertical dispersion my group will exhibit. At long range this is of paramount importance. Just 20 feet per second difference in velocity will be evident as vertical stringing on the target at 1000 yards. How much is dependent upon your initial velocity and the Ballistic Coefficient of your bullet but 2-4 inches is not at all uncommon and could well be more than that. Now that is on top of any aiming errors, scope parallax and other unseen gremlins lurking between you and the target. Skipping forward, I finish my test and you sit down to shot across the chronograph screens. You finish your remaining rounds and we sit down to examine our results. We check your target and indeed you do have a couple of very nice sub-MOA groups and the corresponding Extreme Spreads are 30-45 fps but the Standard Deviation is 15 to 20. My target shows the accuracy I was looking for as well but the Extreme Spreads under 20 fps and SDs are 8 to 10. So you question why I go to all this trouble to get this uniformity when you went to half the trouble and got nearly as good a result. The fact of the matter is both guns gave a good account of themselves but Standard Deviation is deceiving. It is a weighted average which tells you how much you deviated for average. Low deviation indicates that you are closer to the mid-point of your average velocity test while high deviation numbers show that the majority of your shots were more scattered throughout your velocity range. On a large numerical sampling of 100 to 500 shots this is very useful information which will tell you how much you should shade your hold for consistent scores. This is a viable statement but is most useful for extreme range shooting. 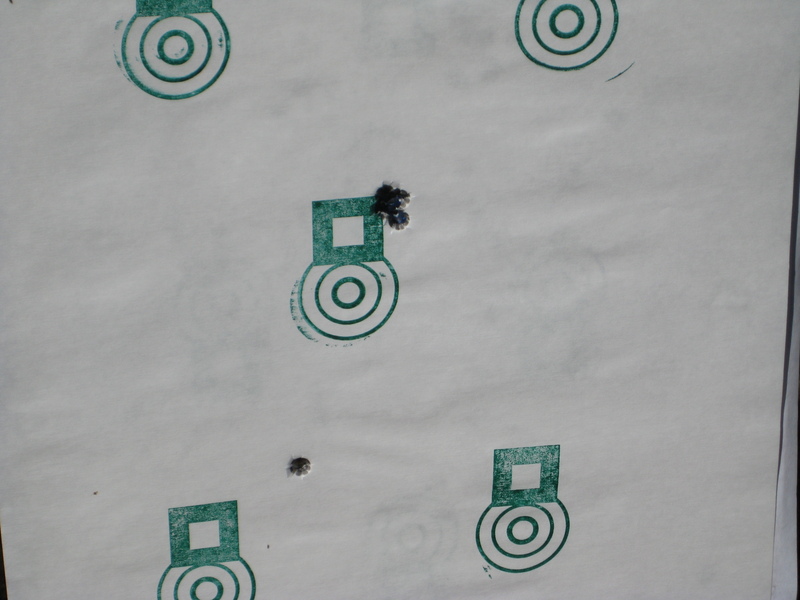 At normal hunting ranges you will probably never see the dispersion. Plus how many of us are willing to invest that much time, components and coveted barrel life to explore a load that yields only limited usefulness to us. Major ammunition manufacturers need this for consistency of their factory loads and you and I as consumers need them to do that. But you and I can also build very uniform ammo tailored specifically for our particular firearm. When we do that our very best yardstick is Extreme Spread. I have seen my 22 PPC shoot consistent 2/10ths groups at 100 yards with H322 and 52 grain HP BTs with 30 – 40 fps Extreme Spreads. 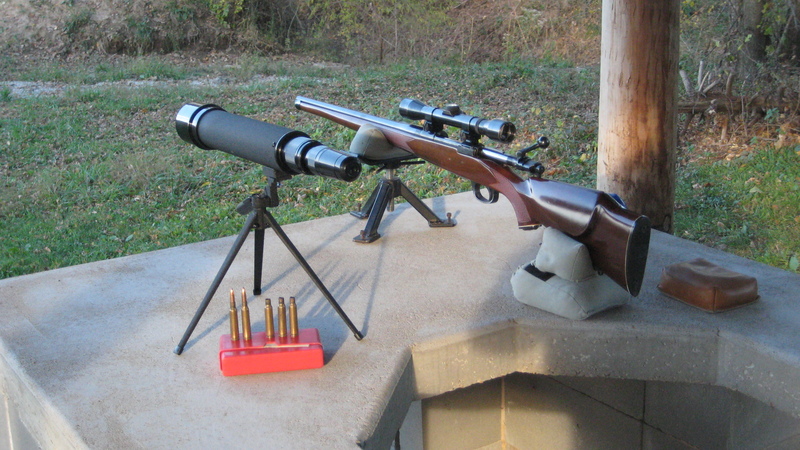 At 200 yards it will shoot an inch and 300 is more like 3-4 inches. The SDs weren’t bad and ESs were okay. But what I see in a load that is constant in its inconsistency. It needs to shoot at 300 like it shoots at 150, about a 1/2 inch. Lower Standard Deviation as a result of much lower extreme spreads solved the problem and I get 1/2 inch accuracy at 300 if the wind co-operates and I do my job. Of course it is very easy to blow that up. Where the real differences show up between the Extreme Spread value and Standard deviation is at long range. I am going to make a statement here – If your load offers more than 20 feet per second Extreme Spread it is not suitable for long range hunting. Your goal should be single digit Extreme Spreads, the lower the better. Then SD is meaningless. To reiterate, Extreme Spread will tell you the vertical spread of your group. Standard Deviation will tell you whether you will hit more to the middle of your aiming point or on the edges. 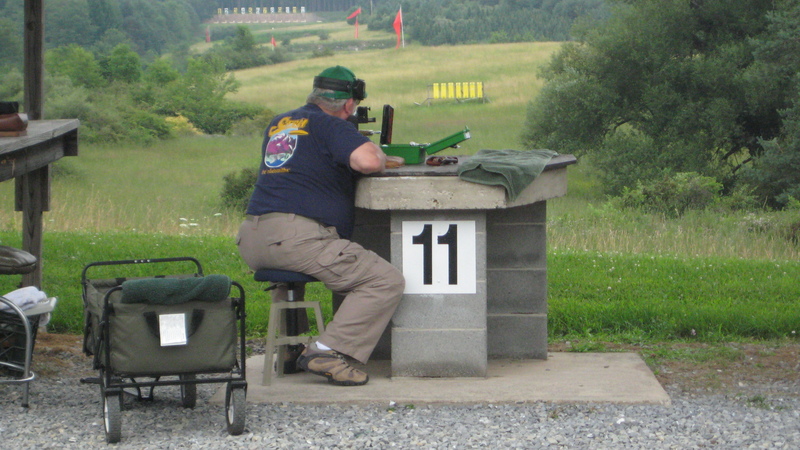 This entry was posted in Competitive Shooting and tagged extreme spread, guns, lower standard deviations, shooting, standard deviation, target practice. Bookmark the permalink. 11 Responses to Standard Deviation – How Valuable is it? Now this may come as a shock, but the lowest extreme spreads I’ve ever experienced have been with black powder cartridge loads giving 3-5 fps spreads. How can we explain that when most of the BP mix is left behind as fouling? Really a great question for Sierra to explore, although you’ll have to go over to the Dark Side (BP) to explore! Wow … You are really sending me to the DARK SIDE! Remember that positive barrel whip compensation for muzzle veelocity makes slower bullets leave at higher angles above the line of sight than faster ones. Extreme spread of muzzle velocity makes all bullets strike near the same place. Barrel tuners near the muzzle adjust the barrel muzzle axis vibration frequency enough to make this happen. I’ve shot 308 Win ammo with 155’s leaving with a 35 fps extreme velocity spread at 1000 yards that equates to about 17 inches vertical spread on paper. 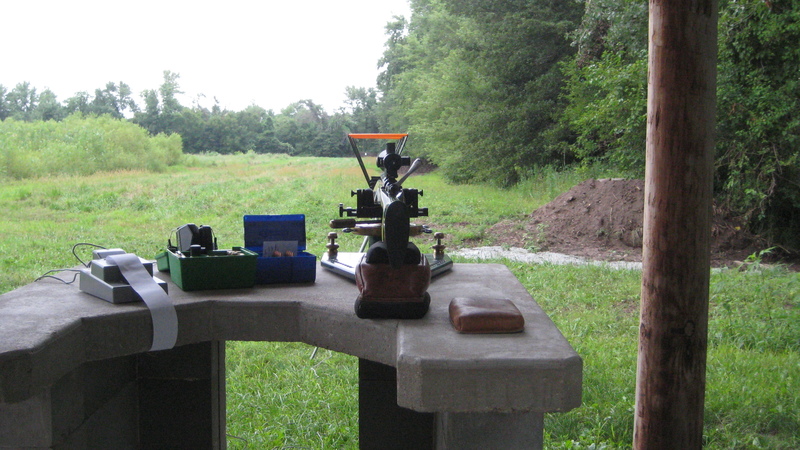 20 shot test groups were 6 to 7 inches vertical spread. There had to be positive barrel vertical whip compensation. Aren’t 3 shot groups statistically insignificant? Subsequent ones will range from near half to about 3 times the value of the first one. Applies to both group size and muzzle velocity numbers. We’ve all seen some strange things at 1000 yards and they are most always caused by wind. Yes, statically 3 shots groups aren’t significant on one hand but if you can’t get 3 shots to group 5 shots won’t tell you much about your load either. While I know the statistical significance of large samplings I also am familiar with the practical applications and know that large samplings use up a lot of components and barrel life. I goofed; 35 fps velocity spread with 155 308’s is worth about 11 inches vertical spread at 1000 without barrel whip compensation. Never seen the wind do strange things. It always moves bullets at a fraction of wind speed in wind direction. Wind speed 10 feet above line of sight at 60% of 1000 yd. target range can be 50% faster than speed in the line of sight. And winds close to the firing line have much more effect on bullet drift at target than winds close to the target. It’s hard to measure wind speed down range. No Problem Bart but thanks for straightening us out. Should I need to produce 100’s of rounds of ammo I would take a close look at the standard deviation (SD) and possibly do more & look at low & high averages at each side of the distribution curve. Having ammo with low SD values would logically reduce shot to shot velocity differences that would affect long range performance. I think this discussion should be about SD use applied to repetitive shooting – like showing up to shoot another match with the same lot of ammo. The goal being to shrink down extreme spread for a particular lot of ammo. I think getting into an extended discussion about barrel whip and wind is somewhat of a distraction because the wind would not affect velocity and barrel whip is another subject independent of the goals of having lots of ammo with uniform velocities and sampling methods. You are correct Stevey but they play a huge part in achieving long range accuracy.